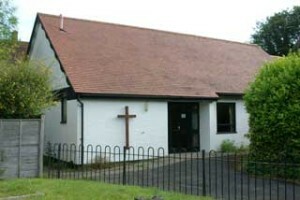 The Church Room is situated next to the Church and consists of a furnished meeting room with adjoining kitchen. The building also has an entrance lobby, toilets and an ante-room/office. It is available for hire for non-church activities by contacting Gill Dean by email. Parking is available in the car park nearby next to the school. Access to the Church Room is via the shared drive with the Primary School.